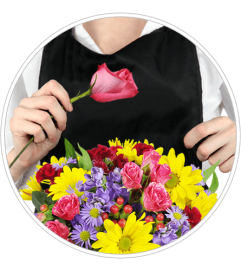 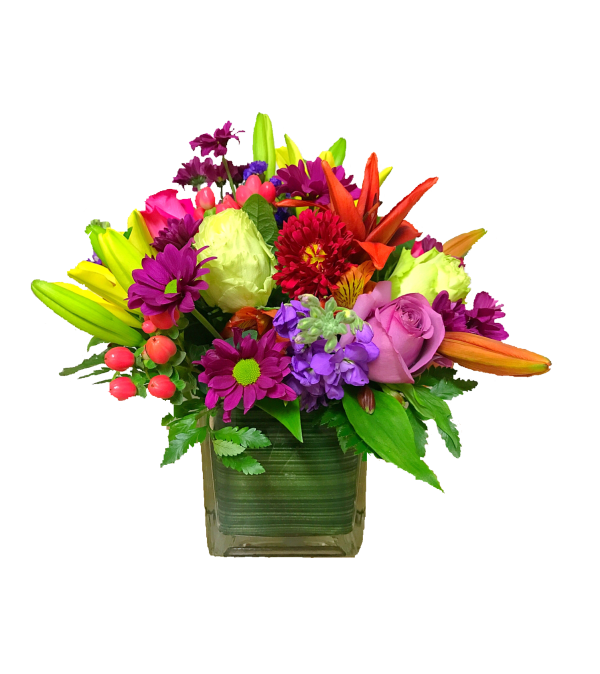 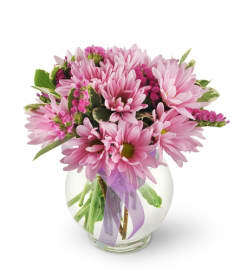 These bright colorful floral bouquet will make your recipient's day and whisk them away to a Spring Wonderland. It is the perfect way to celebrate Spring, Easter, Mother's Day or Just Because! 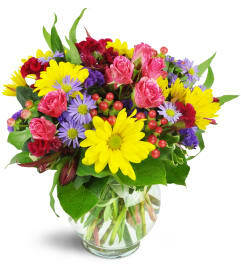 This bouquet is full of roses, lilies, daisies and stock in a stylish square glass vase.